Are you feeling run down and stressed out by modern living? Do you want to lose weight and increase energy? Would you like to feel in the peak of health all the time? 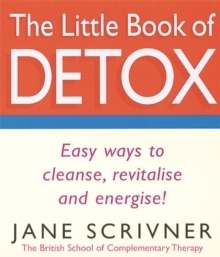 Detox Yourself, by bestselling author Jane Scrivner, is a highly effective spring-cleaning programme for the whole body. Expanded and adapted to cater for your hectic modern lifestyle, this 30-day programme will enhance your circulation, boost your immune system, tackle your cellulite, and promote optimum energy levels and glowing skin so you will feel cleansed, revitalised and energised! With a range of tasty new recipes for you to enjoy, menu plans, shopping lists and key foods to be enjoyed or avoided, as well as a section on eating out on the programme, you will be completely prepared for every occasion. 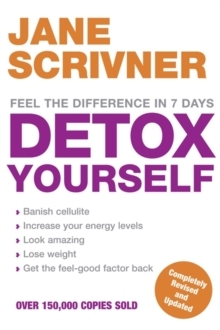 Detox Yourself also includes a breakdown of all the latest treatments and products to complement your detox. It features a 10-day programme for the times when your body needs a jump-start, but also encourages you to adjust your longterm attitude to food and your body for lasting health and vitality.